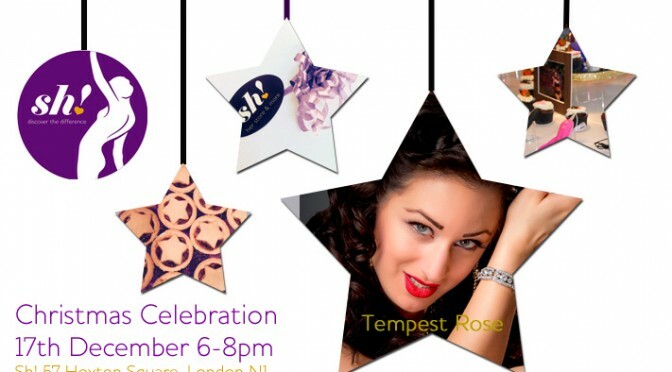 Join us for a festive evening with international show girl and all-around fantastic filly Tempest Rose! Tempest will tempt and tease guests with a short, exclusive performance before inviting guests to partake in a FREE class on how to walk and move in heels like a superstar. Having had the pleasure of seeing Tempest Rose perform before, we can guarantee guests will love every second! Enjoy a glass of mulled wine, nibble on mince pies and make the most of the evening by twirling your own ta-tas along with the devastatingly seductive Ms Rose! Join us for this fantastically festive and fun evening! Bring your friends, get into the party spirit and bring your purses too as there’ll be plenty of time for last minute shopping! Not a Member? 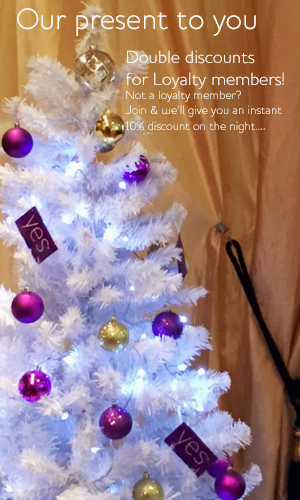 Sign up for our FREE Loyalty Card during the evening and we’ll initiate the 10% without further ado – we don’t want you to miss out! An international burlesque showgirl and compere as well as the CEO at House of Burlesque Ltd – the UK’s top burlesque production company. She has performed all over the UK and Europe as well as at The Slipper Room in NYC and for the Burlesque Hall of Fame in Las Vegas. She has been honoured to teach and perform at London art institutions The V&A and the Courtauld Gallery and has appeared on BBC1, MTV, Channel 4, BBC3 and on TV in Germany as a Burlesque expert. As a producer with her company she has sold out The Hippodrome Casino Theatre and The London Wonderground with her award winning shows, produced a UK theatre tour and ran a highly successful residency for 5 years at the world famous and now legendary Madame Jojo’s in Soho.